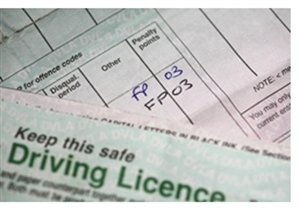 To drive a motor vehicle on a public road the law requires that you hold a current, valid driving licence. If you do not hold such a driving licence, you are guilty of a criminal offence. If you allow someone to drive your car in the knowledge that the driver does not have a licence, you commit a criminal offence. Common examples include the boss who requires an employee to drive without business insurance, or the father who allows a son to drive on a provisional licence, but without L-plates. Ie, the driver must be driving in compliance with the terms of that licence. The law recognises the validity of international and non-UK driving licences and it is legal to drive under those licences if you are visiting the UK, or if you have lived here for a limited period of time. You can be disqualified at the court’s discretion if it considers the offence is sufficiently serious. If the court thinksit appropriate, it might order that you have to retake your driving test or take an extended driving test before getting your new licence. If you are disqualified for less than 56 days, your disqualification is called a ‘short period disqualification’. Your paper counterpart driving licence will be stamped by the court and given back to you. Further useful information provided by the government on the administration of driving licences can be found here.